Sarah Nader - snader@shawmedia.com Henry Patel owns the Best Western located at 990 Lake Avenue in Woodstock which opened on February 19th after 10 months of renovations. Patel also owns three Armanetti's Beverage locations and a couple convenience stores in Illinois and Wisconsin. Sarah Nader - snader@shawmedia.com The Best Western located at 990 Lake Avenue in Woodstock opened on February 19th after 10 months of renovations. The owner Henry Patel also owns three Armanetti's Beverage locations and a couple convenience stores in Illinois and Wisconsin. 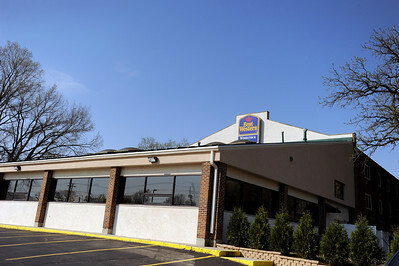 Henry Patel owns the Best Western located at 990 Lake Avenue in Woodstock which opened on February 19th after 10 months of renovations. Patel also owns three Armanetti's Beverage locations and a couple convenience stores in Illinois and Wisconsin.